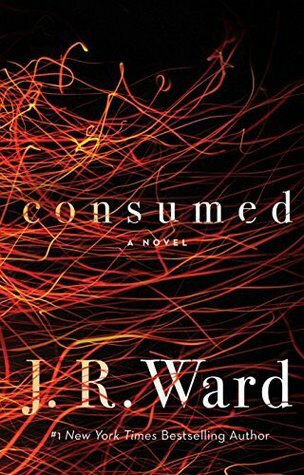 From the #1 New York Times bestselling author of the popular Black Dagger Brotherhood series comes a brand-new novel about arson investigator, Ann Ashburn, who is consumed by her troubled past, her family's scorched legacy, and her current case: chasing a deadly killer. Anne Ashburn is a woman consumed... By her bitter family legacy, by her scorched career as a firefig From the #1 New York Times bestselling author of the popular Black Dagger Brotherhood series comes a brand-new novel about arson investigator, Ann Ashburn, who is consumed by her troubled past, her family's scorched legacy, and her current case: chasing a deadly killer. Anne Ashburn is a woman consumed... By her bitter family legacy, by her scorched career as a firefighter, by her obsession with department bad-boy Danny McGuire, and by a new case that pits her against a fiery killer.Strong-willed Anne was fearless and loved the thrill of fighting fires, pushing herself to be the best. But when one risky decision at a warehouse fire changes her life forever, Anne must reinvent not only her job, but her whole self.Shattered and demoralized, Anne finds her new career as an arson investigator a pale substitute for the adrenaline-fueled life she left behind. She doesn't believe she will ever feel that same all-consuming passion for her job again--until she encounters a string of suspicious fires setting her beloved city ablaze.Danny McGuire is a premiere fireman, best in the county, but in the midst of a personal meltdown. Danny is taking risks like never before and seems to have a death wish until he teams up with Anne to find the fire starter. But Danny may be more than a distraction, and as Anne narrows in on her target, the arsonist begins to target her. From the creator of the bestselling Black Dagger Brotherhood, get ready for a new band of brothers. And a firestorm . . .